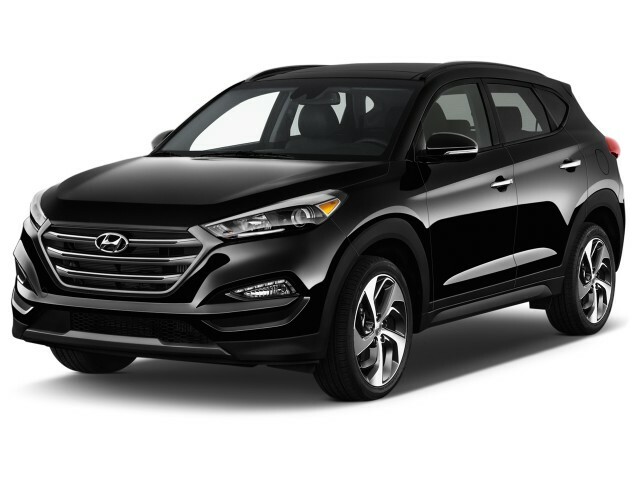 The Hyundai Tucson Limited is expensive, but delivers a lot of content for buyers who are more concerned with comfort and style than utility and performance. The 2016 Hyundai Tucson caters to drivers that put styling and features at the top of their crossover-SUV wish list. 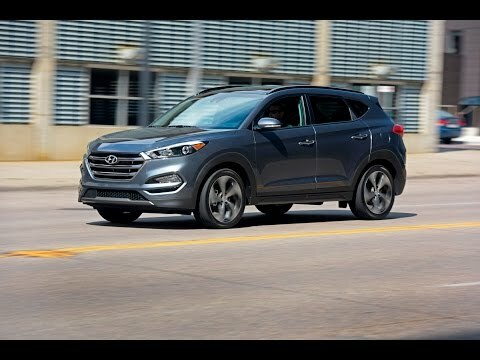 The Hyundai Tucson is the smallest crossover SUV from the South Korean automaker—at least for the time being, in the U.S.—but this tidy vehicle is a great pick for families for a lot of reasons. It's new for 2016, and Hyundai hopes a thorough redesign that boosts economy, interior space, and handling will put the Tucson in the same league as vehicles like the Toyota RAV4, Honda CR-V, and Ford Escape. The first point in the new Tucson's favor is its design. From its familial hexagonal grille to the sculpted lines of its body to the visual impact of its wheel design, the Tucson has a premium look that makes the outgoing model look like an economy car. This upscale feel continues inside, where the design of the dashboard and console have an elegant simplicity, and thickly bolstered seats look expensive. There are four trim levels—SE, Eco, Sport, and Limited—with prices that range from around $24,000 to about $34,000 with destination. The base SE doesn't have much more than the basics. The Eco and Sport have different drivetrains and a few key features, but the Limited with the Ultimate package takes the Tucson into near-luxury territory with everything from leather upholstery to touchscreen navigation, ventilated seats, and a panoramic roof. We were somewhat disappointed by performance from the turbocharged 1.6-liter inline-4 that's found in the top three trim levels: Eco, Sport, and Limited. Mated to a 7-speed dual-clutch transmission, the 175-horsepower engine is slow to respond under hard acceleration, regardless of the driving mode we selected. The base SE has a 164-hp 2.0-liter inline-4 that feels peppier around town, particularly when its 6-speed automatic is in sport mode. Front-wheel drive is standard across the lineup, but all-wheel drive is optional. The system costs around $1,500 and has a driver-selectable lock that splits torque between front and rear wheels in extreme conditions, and also offers torque vectoring that improves cornering performance. The Tucson's ride and handling is less sporty than its looks might indicate, but this isn't necessarily a bad thing for its target audience. Steering and handling are predictable and competent, the ride is refined, and the cabin is quiet at highway speeds. The cabin is roomy enough for four adults. And while the "reclining" rear seat has a convenient lever like you'd find on a front passenger seat, its range of motion is from nearly vertical to what some may consider a normal angle. Interior materials on the Limited are pleasing—there's lots of soft-touch trim, and the hard plastics aren't offensive. On the SE, however, hard plastic trim abounds. Buyers who are debating between trim levels should touch everything and determine if the trim on a non-Limited model is a deal-breaker. The 2016 Tucson earns top five-star frontal and side impact results from the NHTSA, and the IIHS has given a Top Safety Pick+ award to Limited Ultimate models with an automatic emergency braking feature. 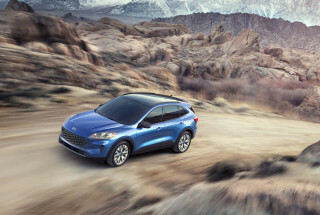 It doesn't matter that Tucson sales have risen from 47,306 in 2014 to an estimated 56,200 for 2015—in a booming compact crossover market, its share of the segment has dropped from 4.8 percent to 4 percent. Hyundai plans to reverse that trend with ambitious sales projections for its redesigned 2016 Tucson. The Korean automaker plans to sell 90,000 of them, and we don't think that optimism is necessarily misplaced. An interesting note: Though the Sport and Limited share a drivetrain with the Eco, their fuel economy is slightly worse. They get 25 mpg city, 30 highway, 27 combined, while the Eco is rated for 26/33/29 mpg. This is partly due wheel size. The Sport and Limited ride on 19-inch wheels. The Eco, like the SE (23/31/26 mpg) have 17-inch wheels. There isn't much SUV in the Hyundai Tucson's design—and that's just fine. The new Tucson exchanges the outgoing model's economy car looks for an upscale, sculpted presence. It's clearly familiar as a Hyundai, with the now-familiar hexagonal grille and sharply geometric headlight assemblies. In profile, a short greenhouse and dynamic design for large 19-inch wheels give the car a sense of restless forward motion. The rear fascia is also recognizably Hyundai, with strong horizontal lines that have a muscular effect. It looks more expensive than it is. This upscale feel continues inside where, Hyundai says, Eero Saarinen's TWA terminal at JFK airport inspired the Tucson's dashboard design. (The terminal sits unoccupied today.) It's elegant in its simplicity, thoughtfully laid out, and facilitates and excellent view of the road. Seat design with thick bolsters adds to the upscale look, particularly when upholstered in leather. The latest Hyundai Tucson is built for comfort and economy, not speed. Tucson buyers choose between two drivetrains. The base SE is the only trim level powered by a direct-injection 2.0-liter inline-4 that makes 164 horsepower and 151 pound-feet of torque. It's mated to a traditional 6-speed automatic transmission, and rated for 23 mpg city, 31 highway, 26 combined with front-wheel drive. The Eco, Sport, and Limited all use a direct-injection 1.6-liter turbocharged inline-4 paired with a 7-speed dual-clutch transmission (DCT). It's rated for 175 hp and 195 lb-ft of torque. So why the difference when they share a drivetrain? According to Hyundai, much of the blame goes to the 19-inch wheels used by the Sport and the Limited—like the SE, the Eco rides on 17-inch wheels. We drove a few hundred miles in Limiteds equipped with the turbocharged 1.6 and the DCT. The engine feels adequately powerful in most situations and the transmission shifts nearly imperceptibly, but hard acceleration reveals a somewhat surprising sluggishness. Three driving modes (Normal, Eco, and Sport) seem to have little impact on performance or behavior. A direct comparison with the 2.0-liter and 6-speed in the SE is difficult, as our short drive was composed primarily of stop-and-go city traffic, but in that setting the SE feels quicker and less hesitant off the line, especially in that model's sport mode. The Tucson uses MacPherson struts up front and a multi-link independent rear suspension. Handling is predictable and safe rather than sporty, and steering feel is equally pragmatic—communicating well without encouraging spirited driving. 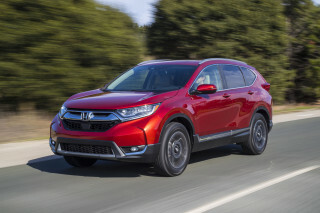 Paired with refined ride and a serenely quiet cabin at highway speeds, the crossover's driving dynamics probably deliver exactly what its buyers want. One caveat, though: The smooth ride can be momentarily jarred when the Tucson's 19-inch wheels come into contact with pavement joints and the like. 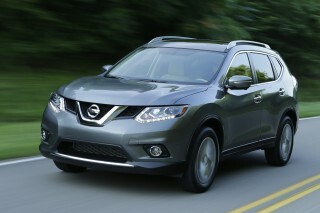 All trims levels come with front-wheel drive as standard, but an all-wheel-drive system is available across the range. It includes a driver-selectable lock for differentiated torque split between front and rear wheels in off-road and extremely slippery conditions, and torque vectoring that improves cornering performance by braking the inside rear wheel and delivering additional torque to the outside rear wheel. There's room for adults in the back seat, but the Hyundai Tucson's cargo space is still tight for the class. The 2016 Hyundai Tucson is slightly larger than the outgoing model, and much of that extra room wound up in the cargo area. Front seats are well-bolstered and comfortable on longer drives. Power adjustment is standard on all Tucsons except the SE. Because sporty exterior design necessitates higher window sills, the passenger seat is height-adjustable. Only Limited models get power adjustments for the passenger, though. Dash design and control layout are superb. The instrument cluster features straightforward analog gauges on either side of a digital information center that's refreshingly free from gimmicky graphics. The center console strikes an excellent balance between old and new, with buttons for primary functions and a touchscreen for ancillary commands. Material quality varies, though. We spent most of our first drive in top-spec Limited examples, where soft-touch materials, leather upholstery, and a panoramic roof give the interior a decidedly upscale look and feel. There is some hard plastic trim, but it's found mainly in lower sections, and it doesn't look bad. A brief drive in an entry-level SE, however, gave a different impression. Design is still good, but nearly every surface that's soft-touch in the Limited is now covered in hard plastic trim. You'll also need to splurge on the Limited if you want the 8.0-inch touchscreen—there's a 5.0-inch variant on other Tucsons. The rear seat will comfortably seat two adults, even when front seats are adjusted for taller drivers and passengers. It reclines easily with the use of a lever like one you'd find on a front seat, but the term "recline" may be somewhat misleading—you can adjust its rake, yes, but we found that its forward position felt nearly vertical, while its rearward position seemed normal. There's now 30.1 cubic feet of space with the 60/40-split folding rear seats up, and 61.9 cubic feet when they're folded. It looks very usable, but this is still substantially less room than you'll find in most of the Tucson's direct competitors. There is some nifty versatility in a cargo floor that can be lowered by 2 inches to accommodate taller items; buyers who don't mind a slight lift-over when loading and unloading might simply leave it in the lower position. The Tucson's pocketed a Top Safety Pick+ award and federal scores are very good. The 2016 Hyundai Tucson has earned top-notch crash-test scores in every U.S. crash test so far—including top five-star frontal and side impact results from the NHTSA, as well as Top Safety Pick+ status from the IIHS. That top IIHS rating applies to Limited Ultimate models equipped with the automatic emergency braking system. In addition to rearview cameras, standard safety equipment includes front- and side-impact airbags for the driver and front passenger, and side-curtain airbags for front and rear passengers. A tire pressure monitor indicates the location of an under-inflated tire. 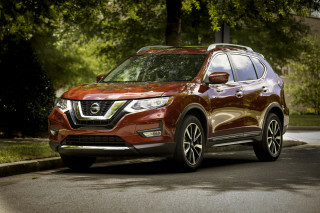 Advanced safety features are reserved for trim levels with starting prices around $26,000. Sport and Limited models get blind-spot detection, lane change assist, and rear cross-traffic alert. 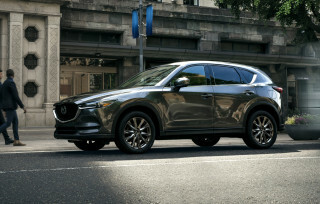 The optional Ultimate Package for the Limited features the aforementioned automatic emergency braking with pedestrian detection, lane departure warning, and backup sensors. Standard features in the new Hyundai Tucson are fine, but the top-spec Limited has ventilated front seats and a panoramic roof. Hyundai has slightly revised its trim levels for 2016. The entry-level SE is most notable for a unique drivetrain that combines a direct-injected 2.0-liter inline-4 with a 6-speed automatic transmission. It includes nice touches like a tilt-and-telescope steering wheel, automatic headlights, a rearview camera, and special cloth upholstery—available only in beige—that resists odors and stains. Standard and optional equipment is otherwise fairly basic. The Eco gains a direct-injected 1.6-liter turbocharged inline-4 that's matched to a 7-speed dual-clutch transmission. Like the SE, it wears 17-inch wheels. New this year is a Sport trim that builds on the Eco's specifications with 19-inch wheels, keyless ignition, a variety of driver assists, and heated front seats. The Sport also gets an innovative feature that opens the liftgate automatically when the key fob has been in proximity for three seconds; it will work only if the Tucson is locked, and the range of its motion can be programmed to avoid hitting garage doors and the like. The range-topping Limited adds a host of luxury features like leather upholstery, upgraded interior trim, dual-zone automatic climate control, 8.0-inch touchscreen navigation, and Hyundai's telematics system. An Ultimate Package for the Limited throws in extras such as a panoramic sunroof, ventilated front seats, heated rear seats, HID headlights, and an automatic emergency braking system with pedestrian detection. Pricing is generally competitive. On its introduction, the Tucson had base prices ranging from around $23,000 to $33,000. All-wheel drive, available at all trim levels, adds about $1,500, and there's a destination charge of $895. Fuel economy with the new 1.6-liter engine is improved over the last Hyundai Tucson, but some rivals still are far more frugal. 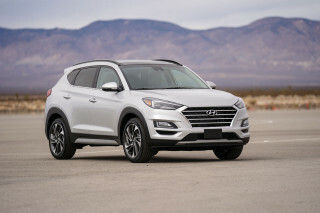 Hyundai's updated the powertrains in the Tucson crossover SUV, and swapped in a new transmission on the priciest versions, to boost its fuel economy. 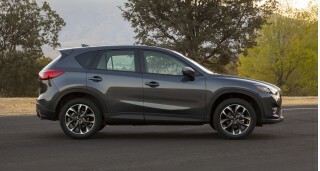 Base Tucsons get a 2.0-liter inline-4 with 164 horsepower. Coupled to a 6-speed automatic, this version is rated at 23 mpg city, 31 highway, 26 combined with front-wheel drive. All-wheel drive trims fuel economy to 21/26/31 mpg. Other versions come with a turbocharged 1.6-liter inline-4 with 175 hp, and a 7-speed dual-clutch transmission. Sport and Limited versions are rated at 25/30/27 mpg, while the Eco is rated for 26/33/29 mpg. Hyundai attributes most of the difference to wheel and tire sizes. 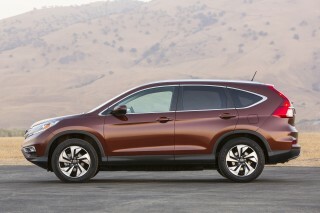 For comparison, the front-drive Honda CR-V is rated at 27/34/29 mpg. Poor performance power window gear. Power window gear is very low performance. For almost 2 years in use my driver side power window gear is loose traded. I will choose a negative star if there is any in the reviews. Beautiful car with lots of safety. With such a little engine (1,6 turbo, petrol) this car performs just great! It´so comfortable and has a nice ride with a roomy backseat and great front seats. Only thing I miss is the posibility to shift with... With such a little engine (1,6 turbo, petrol) this car performs just great! It´so comfortable and has a nice ride with a roomy backseat and great front seats. Only thing I miss is the posibility to shift with paddles. One more thin, why have they placed the "Sport drive" button almost down on the floor. It should be on the steering wheel for quick accsess. 1st foreign made car i've owned...best decision ever! I purchased a 2016 Tuscon Limited, fully loaded except for the moon-roof. I'm approaching 1,000 miles and I love it. The ride is comfortable and quiet. The 19" wheels make a huge difference. Performance is... I purchased a 2016 Tuscon Limited, fully loaded except for the moon-roof. I'm approaching 1,000 miles and I love it. The ride is comfortable and quiet. The 19" wheels make a huge difference. Performance is excellent for city driving. I live in Austin, Texas and traffic is a nightmare. The 1.6T engine is fast and responsive. I can merge easily into speedy traffic with no issues. The dual-clutch transmission took some getting used to, but once you get used to it, it's awesome. I'm averaging about 19-20 mpg, but that's with heavy stop and go downtown traffic. The tech features are great. Blind-Spot detection, rear camera, lane departure warning, auto-liftgate, 750 watt stereo, bluetooth phone, gps, all work wonderfully. 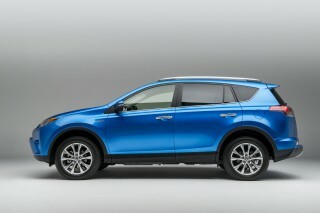 New design could be best CUV on street.